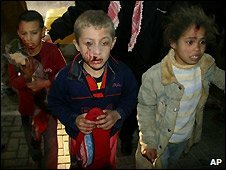 The Gaza Strip faces a "a full-blown humanitarian crisis", the International Committee of the Red Cross (ICRC) says. 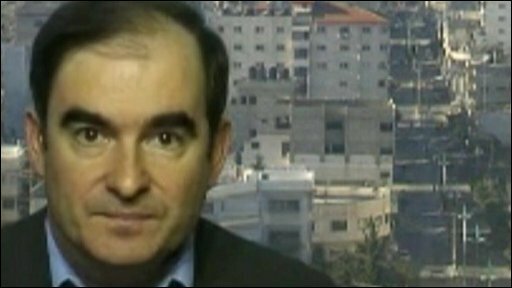 The ICRC's head of operations for Gaza, Pierre Kraehenbuhl, told the BBC that life was becoming intolerable in Gaza after 10 days of conflict. 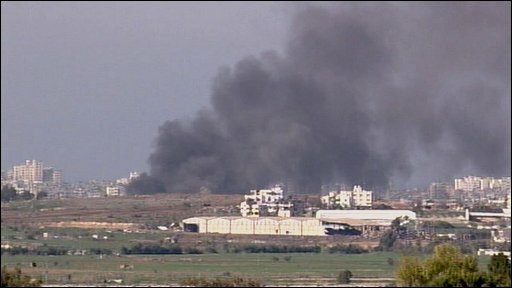 Clashes between Israeli forces and Palestinian gunmen continue as Israel attempts to end militant rocket fire. At least 12 Palestinians were killed in an Israeli strike on UN-run school in in Gaza, medical officials said. At least 110 people have died since the ground assault began on Saturday, medical officials say. More than 560 Palestinians have been killed since Israel moved to end rocket attacks from Gaza 11 days ago, Palestinian medical officials say. The UN says at least 25% of those are civilians. At least 30 Palestinians were killed on Tuesday, while four Israeli soldiers were killed by fire from one of their own tanks. Israel says it has killed 130 Hamas fighters and has denied claims that Hamas has killed 10 of its soldiers. Israel says its offensive is stopping militants firing rockets, but at least five missiles hit southern Israel on Tuesday, with one reaching the town of Gedera, about 40km (25 miles) from the Gaza Strip. "After 10 days of uninterrupted military operations in the Gaza Strip, what we're dealing with is clearly and beyond doubt in my mind a full-blown and major humanitarian crisis," the ICRC's Pierre Kraehenbuhl told the BBC. "For the people inside Gaza, the situation has become intolerable... The reports we've had during the night is that the last night has been the most intense in terms of bombardments and military operations." There was heavy fighting around Gaza City overnight as infantry supported by tanks and helicopters approached the outskirts of the city. More clashes were reported on the edges of the Deir al-Balah and Bureij refugee camps in central Gaza, and witnesses said Israeli tanks and infantry were advancing on Khan Younis. The Israeli army said four of its soldiers had been killed in two separate friendly-fire incidents on Tuesday, when errant Israeli tank shells hit their positions. A fifth soldier was killed on Sunday. At least three Palestinians were killed on Tuesday morning when an Israeli air strike hit a United Nations school, where about 400 people were sheltering, UN officials said. Later, at least 12 people were killed near another UN-run school in the Jabaliya refugee camp, when two tank shells exploded outside, medical officials said. An Israeli military spokesman said he was checking the reports, but it has in the past accused Hamas of using schools, mosques and residential areas for cover. In an interview with the BBC, the director of the UN aid agency Unrwa, John Ging, said the conditions in Gaza were "horrific". "Nowhere is safe for civilians here in Gaza at the moment. They are fleeing their homes and they are right to do it when you look at the casualty numbers." "It's very, very dangerous, and even the 14,000 who have sought refuge in our schools and shelters, they are not safe either." Mr Ging said international leaders had a responsibility to act to protect civilians. "You cannot conduct huge military operations in such densely-populated places without killing hundreds and injuring thousands of civilians," he added. Information about what is happening inside Gaza is limited as Israel has barred foreign reporters from entering. The UN also warned that the humanitarian crisis in Gaza would deepen as it was having difficulty getting aid into the territory. Unrwa said it would be unable to bring in 80 lorries of humanitarian supplies scheduled for Tuesday after the head of the company contracted to transport the supplies lost three relatives, including one son, in attacks on Monday night. Aid workers in Gaza are having trouble distributing existing supplies of fuel and food. Many people in Gaza are now reported to be without running water, fuel or electricity. One man, Tamer, in Beit Lahiya, told the BBC that he drove to Gaza City and back and saw hundreds of people queuing for food. "Everywhere I went I saw people standing in huge queues, waiting to buy bread. I have never seen this in Gaza before, people queuing in their hundreds for food," he said. The escalation in fighting comes as international pressure for a ceasefire is growing. Palestinian Authority President Mahmoud Abbas is due to attend a UN Security Council meeting on Tuesday, along with the foreign ministers of Saudi Arabia, Egypt, France and the UK, in an attempt to put pressure on the Security Council to act decisively. French President Nicolas Sarkozy said he had asked his Syrian counterpart, Bashar Assad, to help convince Hamas to co-operate with efforts to end the Israeli offensive. Syria is regarded as a main backer of Hamas. "I don't have any doubt that President Bashar Assad will throw all his weight to convince every one to return to reason," Mr Sarkozy said after talks in Damascus. Meanwhile, a Hamas delegation has arrived in Cairo for talks with Egyptian security officials. Egypt has brokered past truces between Hamas and Israel. The envoy of the Middle East Quartet, Tony Blair, said after talks with Israeli leaders that he believed there could be an immediate ceasefire if the supply of arms to Hamas through tunnels from Egypt was cut off. Hamas has said that Israeli attacks on Gaza must stop and the crossings into the territory, which Israel controls, must be fully opened, before it agrees to a ceasefire. A spokesman for Prime Minister Ehud Olmert said on Tuesday that any ceasefire would have to include provisions to prevent Hamas from re-arming in order to prevent future rocket attacks on Israel.